Molto ladri molto merda molto cazzo Platini e Europa e Ingelande! GRANDE MIIILAN IL CONDORE MERCATO EUROPA CAMPIONE MOLTO BELLOFAMOSO MOLTO INVINCIBILE RACISMO CAZZOING TUTTO RAGAZZI DAI DAI DAI!!! Nedved knows what it's like to work for them scudetti. 2 in particular required more specific work that Totti surely knows nothing about. Lol. I like that response. I wish Ned gets to read this. Fav. Players: De Sciglio, Ambrosini, SeS, Montolivo. Tavecchio banned for six months by UEFA. AC Milan’s 16-year-old youth team striker Cosimo La Ferrara was handed a five match disciplinary ban for using a racial slur during last year’s derby with Inter. Opoku reacted with a slap and La Ferrara was substituted immediately to avoid any further altercation. Christian Brocchi, then coach of AC Milan’s youth team, made La Ferrara apologise to all members of the opposing bench and did not feature him in the following four rounds. According to La Gazetta dello Sport, the FIGC Federal Court, chaired by Sergio Artico, punished both the player and the club with a five match ban and a €5,000 fine, respectively. Last year, Atalanta’s Alberto Grassi involved in similar case was punished with a ten match ban. The ban was halved on appeal after the Under-19 Italian international started volunteer work as part of his re-education. In circumstances similar to Grassi’s, the Federal Court’s prosecutor demanded a ten match ban and a fine of €10,000, which was reduced because of La Ferrara’s conscious behaviour in apologising immediately, and Milan banning him for four subsequent rounds. 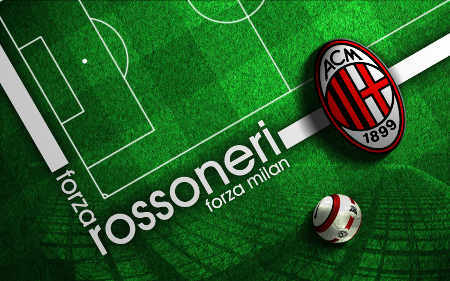 The Rossoneri have decided not to appeal the decision. What is with Fiorentina and tears? The kid is an idiot. Credit to Brocchi and the club for the way they handled it. Purple rain right there homie ..